You Won't Believe What The Cat Dragged In! 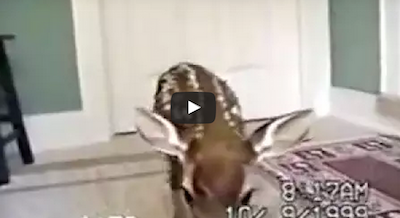 You Won’t Believe What The Cat Dragged In! This family’s cat came in through the kitty door from the outside, and had an unusual friend follow him in. You won’t believe who it was! I had no idea an animal that size could fit through a hole that small – check it out!